4×4 SUVs are often considered as superb, all-round cars. With a combination of size, power and modern design, they are a comforting choice to many road-users today. What differentiates 4x4s from most other types of cars are predominately its size and ‘going-anywhere’ capability. With this in mind, there is an outstanding range of 4x4s on the market. But which one is the best all-round 4×4? This is a difficult question to answer as each 4×4 will often have their own unique selling point and advantages. Here are Carleasing’s available offers on some of the best 4x4s currently on offer. Regarded as one of Carbuyer’s Best 4x4s, the Audi Q5 is an exceptionally well-made 4×4, with one of the ‘best interiors in its class, featuring high-quality materials and a thoroughly modern design’ (Carbuyer’s Audi Q5 summary). 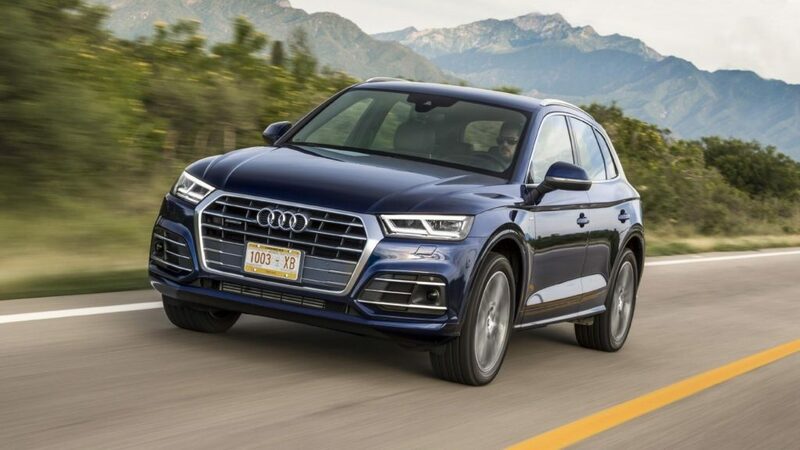 The 2018 version of the Q5 is a thorough re-work from previous models with a strong balance between performance and economy, achieving 150 – 286 bhp whilst returning an average of 42-57 mpg. TopGear’s review on the 2018 Q5 regard it as the “perfect evolution of the super-popular Q5. The same, just better. Spot on.” Whilst the price is not exactly cheap once all the features are compiled together, the Q5 is a frequent bestseller in its segment. Performance wise, the Q5 comes with four different diesel versions and one petrol version. More details on the exact engine specifications can be found in TopGear’s Driving section on the A5’s review. Just like with any 4×4, the A5 doesn’t disappoint in terms of space. 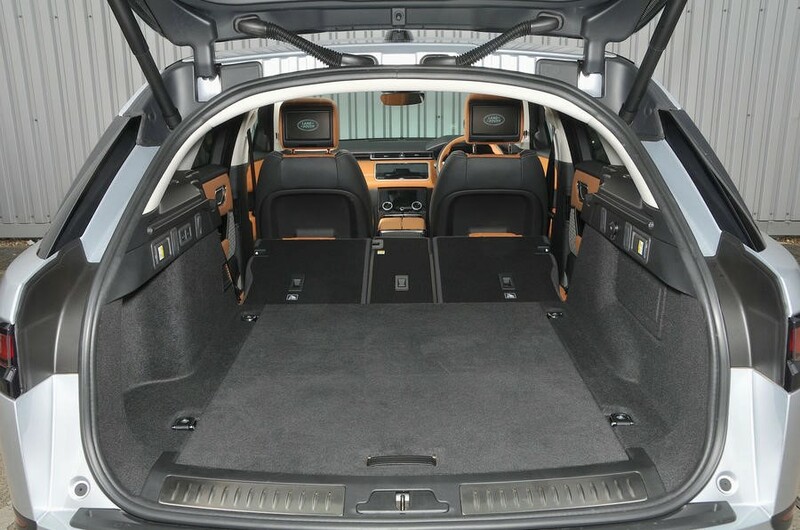 The Q5 seats is able to seat five people, and with it achieving 610 litres of available capacity. 1550 litre capacity can be achieved providing the rear seats are folded down. As far as technology and interior goes, all Q5s comes with power-opening boots, along with five different modes for the gearbox and engine. A digitalised infotainment screen is also featured and can grow to 8.3 inches if the model is upgraded (which is recommended by Carbuyer’s review) as users will get a touchpad complete with handwriting recognition. More details on the Q5’s interior features are available at Carbuyer’s Q5 review. Equally important to any potential buyer, price will play a considerable part in the final decision. The overall price for the Audi Q5 ranges from £33,355 to £57,045. Carleasing prices ranges from £373.97 to £418.46 per month for a 24 month contract. However alternative contracts and prices are available depending on the individual model. More information can be found on Carleasing’s Q5 price page. 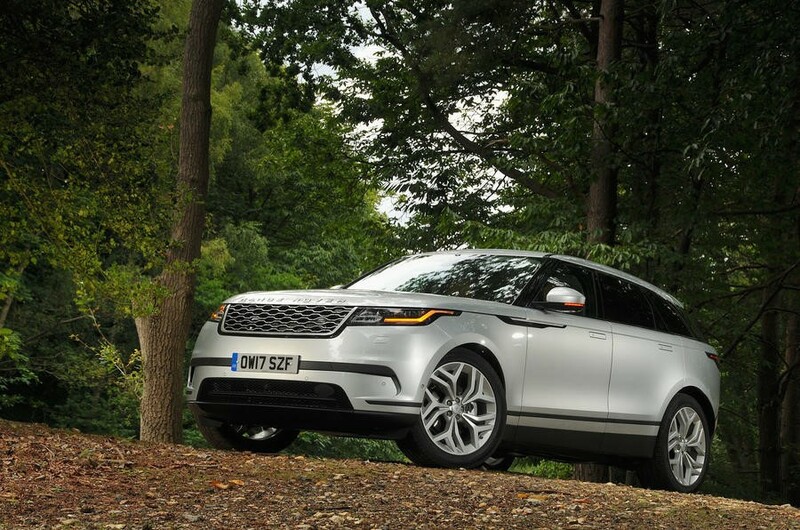 The Velar is a combination of modern, luxurious and expensive features with technological sophistication and “the highly accomplished ride and handling to be considered superior to the premium-branded medium-sized SUVs” (Autocar’s review on the Velar). Carwow argues that it “bridges the gap between the smaller Evoque and the larger Range Rover Sport”. The strong, stylish design is seen to be more eye-catching than its competitors such as the BMW X3 and the Audi Q5. As with any 4×4, size is what helps sell the car. The Velar is no different. The 558 litre boot capacity can easily accommodate for the family. The 40:20:40 split when seats are folded down allows users to carry three passengers in the rear with plenty of luggage in the boot at the same time. All models are equipped with a futuristic-looking dual-screen infotainment system, allowing the 4×4 to follow the high-tech, modern car trend. Whilst the lack of a satellite navigation system slightly lets the Velar’s technological credibility down, the fully digitalised instrument panel along with a centre console with refined graphical resolution is a significant improvement from previous models. On the whole, the high-tech features that come with the Velar is a huge part of it’s general appeal. An in-depth review of the Velar’s interior features can be found at Carwow’s Land Rover Velar Review. Fuel economy will ultimately differ depending on the model, but Miles Per Gallon (MPG) ranges from 34-49. More information can be found in Carwow’s Velar specifications. As for performance, every model comes with 4-wheel drive with an eight-speed automatic gearbox. Users can choose from a range of three petrol and three diesel engines. More detailed information on the Valer’s performance can be found on Autocar’s Valer Review. As far as driving goes, Carwow’s expert Mat Watson argues “The Valer’s relatively comfortable on the move, but the optional air suspension is a must-have feature.” Such features will inevitably increase the price which is something worth noting for the Velar. In terms of pricing, offers range from £44,830 – £72,630. But as for leasing offers, pricing ranges from £397.57 to £682.84 for a 24 month contract. However, prices will differ depending on models available and length of contract. More information can be found on Carleasing’s Land Rover Valer pricing page. The Mondial de l’Auto, otherwise known as the Paris Motor Show, is one of the biggest events on the motoring calendar and has caught the attention of popular motorist magazines including Top Gear, Autocar and Autotrader. Held in in Porte de Versailles exhibition centre, the Paris Motor Show features a selection of new and upcoming cars from some of the biggest car manufacturers in the world. Whilst the event has showcased some of the more extravagant upcoming vehicles, there were a number of significant new launches that appealed to many interested motorists. Here are some of the launches that may be of interest to you. 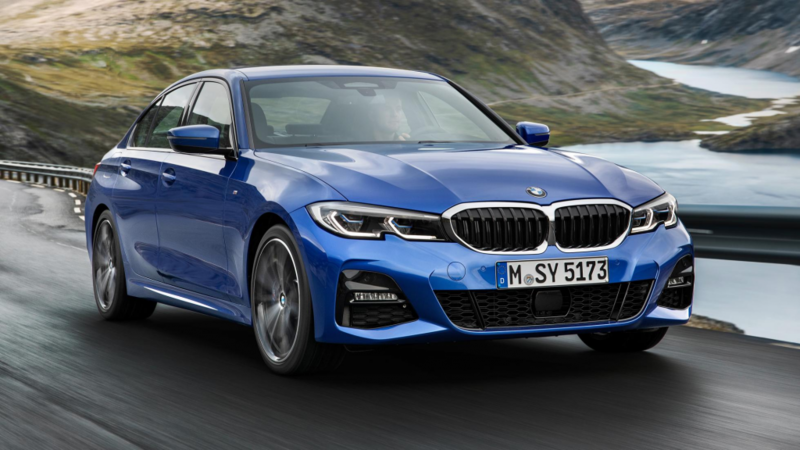 One of BMW’s biggest seller, the 7th generation 3 series saloon is set to release in March 2019 with a bigger, technologically upgraded and lighter design. 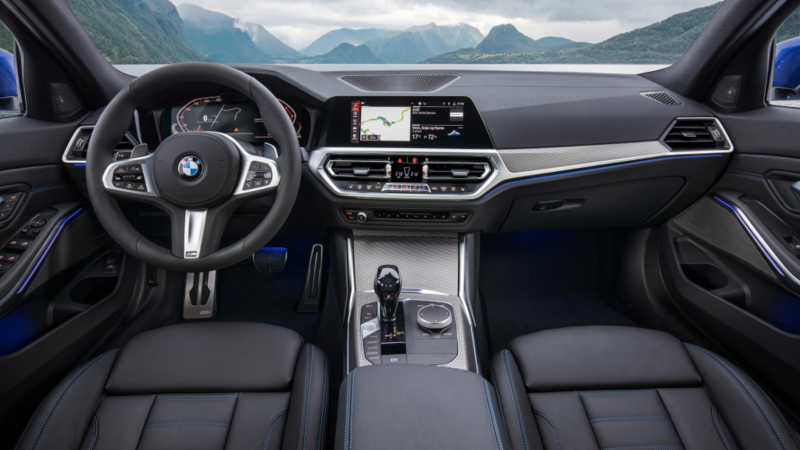 The new 3 series will feature new interior technology including a 12.3 inch digital cockpit (which is the first time in a 3 series) as well as an upgraded infotainment system allowing the driver to access it through a centre console, speech recognition or gesture control. Other technological additions include the removal of a manual handbrake with a switch replacing the older version, providing more space for interior usage. Equally worth noticing is the new 3 Series saloon will be available in a plug-in hybrid version for the first time. For more detailed information and specifications on the details of the 7th generation 3 Series Saloon, take a look at TopGear’s review on the 3 series, or Autocar’s 3 Series review. As far as pricing goes for this next generation 3 series, the stated price will begin at £33,610. Given that this version is set to release in 2019, why not take a look at our current leasing offers available for the current BMW 3 Series? Offers range from £287.04 – £293.57 for a 24 month contract, however alternative contract lengths are available. 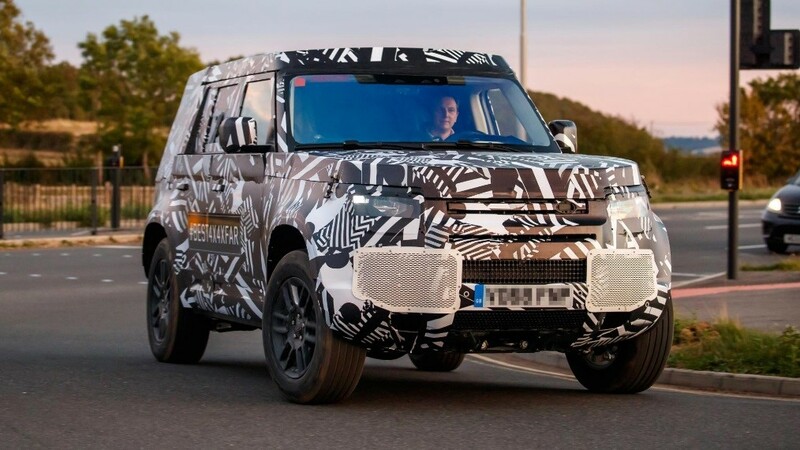 One of the more exciting cars that has caught the attention of popular motorist magazines is the new Land Rover Defender, set to launch in 2020. As the original defender was a significant part of the world’s motoring landscape, the 2020 version has a lot of potential to live up to. More information on what can be expected from this hot new 4×4 can be found at Autocar’s blog post on the latest Defender. According to Autocar’s post on the new Defender, pricing has tipped to range from £40,000 to £70,000. As official leasing prices have not been announced yet, why not look at our current leasing offers for Land Rover availability? 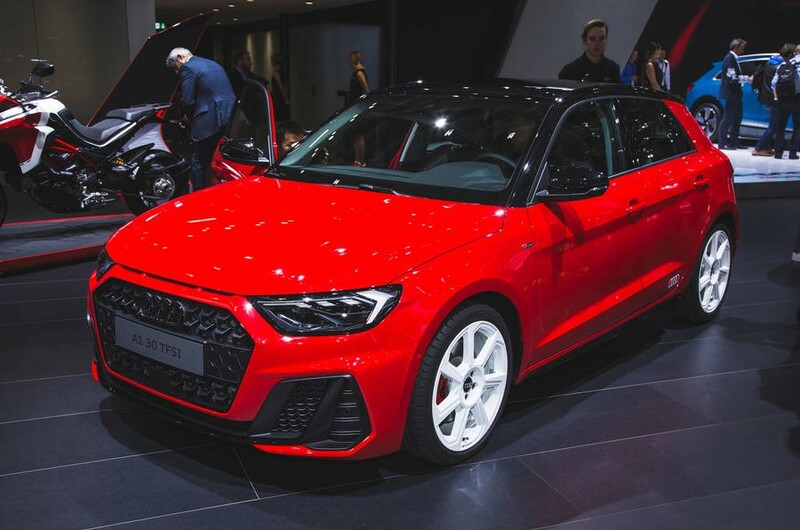 Having already mentioned the Audi A1 in a previous blog post on What’s New From Audi, the A1 has once again come into the spotlight and attracted a lot of attention at the Paris Motor Show 2018. This modern-day hatchback was a prominent feature in the Paris Motor Show, largely because of it’s general attractiveness to a variety of potential customers. This model will be Audi’s smallest car and will be available to order in the UK from November 2018 at £18,000. Technology is also a significant feature with the A1. Besides the virtual cockpit with a digital 10.25 inch instrument cluster, the A1 will feature a ‘pre-sense front’ which uses radar-sensing technology to notify the driver of nearby surrounding obstacles. Not only this, but according to Autoevolution’s post on the upcoming A1, the A1’s ‘phone box’ will improve reception’ and ‘inductive charging is also featured’. All in all, the A1 is certainly a small hatchback that is attracting a lot of attention in customer’s eyes. 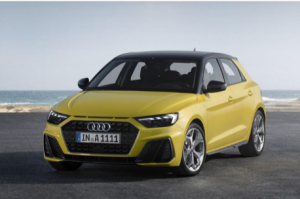 Leasing prices for the A1 Sportback have not been announced yet, however previous Sportback versions are available on Carleasing Sportback Leasing offers page. Prices range from £259.82 to £321.79 per month for a 24 month contract. However, alternative contract lengths are available. It is certainly an exciting time in the motor industry and there a lot to look forward to in the near future. Stay updated on new Car leasing offers on our official website. 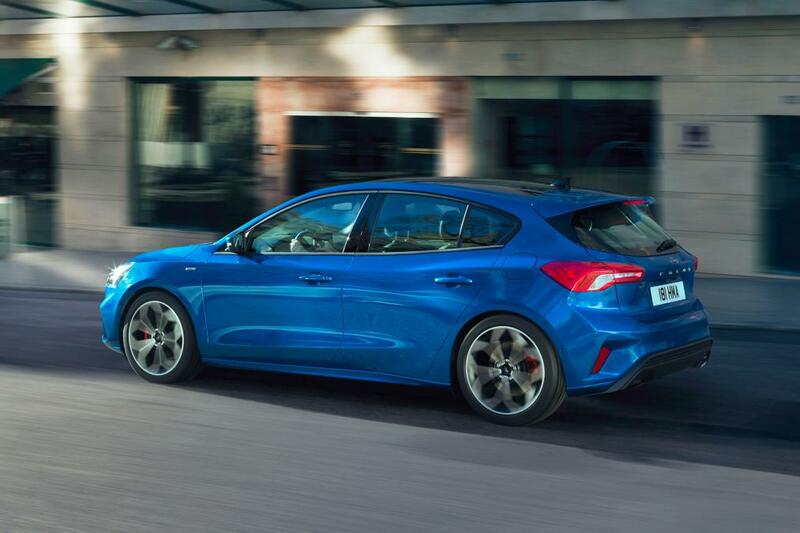 The Ford Focus is one of Britain’s most renowned family-friendly, cost-efficient cars currently out there on the market. It’s attractive pricing and general feel for handling places sits well in customer’s eyes. However, its head-to-head rival, the Volkswagen Golf sits in a close second place on WhatCar’s UK Best selling cars. In this blog, we will be taking a look at these key rivals to provide a comprehensive overview on where these market-leaders stand. Starting off with the 2018 Ford Focus, from an immediate glance customers can resemble the front grille from previous Focus models, ensuring customers can still feel a part of the Ford family. However the striking and sporty design is evident from every angle, allowing Ford to maintain an upgraded, aesthetic edge in its newest generation of cars. The updated appearance doesn’t stop at the exterior design. Whilst many of the engines from previous models are carried over, a new 1.5 litre three cylinder turbo powered petrol engine comes with it, producing 148-180 bhp. The added cylinder deactivation system allows users to be more fuel-efficient with their driving when it comes to travelling long distances. 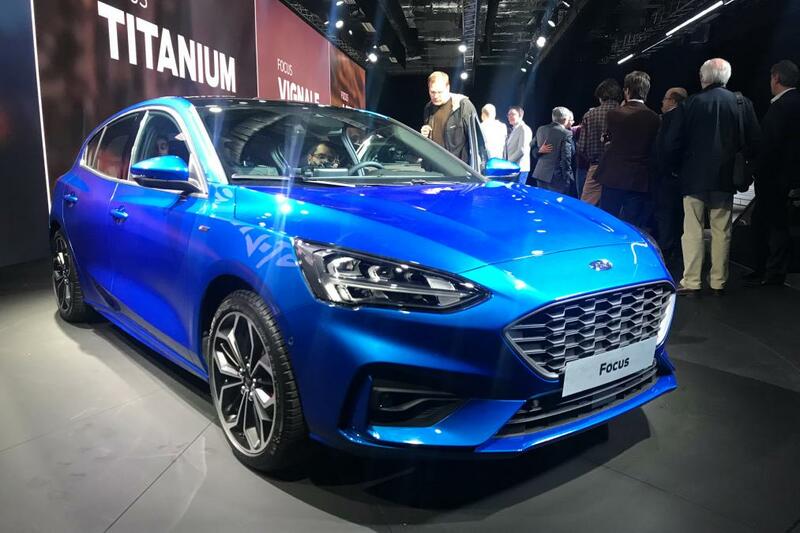 Along with the fourth-generation’s sharp design and added technology, the Focus arrives with seven different trim levels (Style, Zetec, ST-line, ST-line Z, Titanium, Titanium X and Vignale), allowing for a more selective, customer experience. They also go on to state that the 1.5 version is “quiet and smooth”, with it achieving 51.4 mpg on the new and updated fuel cycle. It seems then that the new Focus is certainly a worthy player in the hot hatchback sector. As for pricing, leasing prices start from (as per 26/09/18) £160.38 – £470.40 for a 24 month contract, however alternative contract lengths are available on Carleasing’s pricing page. As attractive as the latest Focus maybe, we should not be too hastily to ignore the Focus’s main rival, the Volkswagen Golf. The VW Golf is another key player in the hot hatchback sector, with it remaining as Europe’s biggest selling new car and was the UK’s most popular family hatchback in 2017. Much like the Ford Focus, the Golf is classed as a superb, all rounder that offers everything that most people will need in a car. 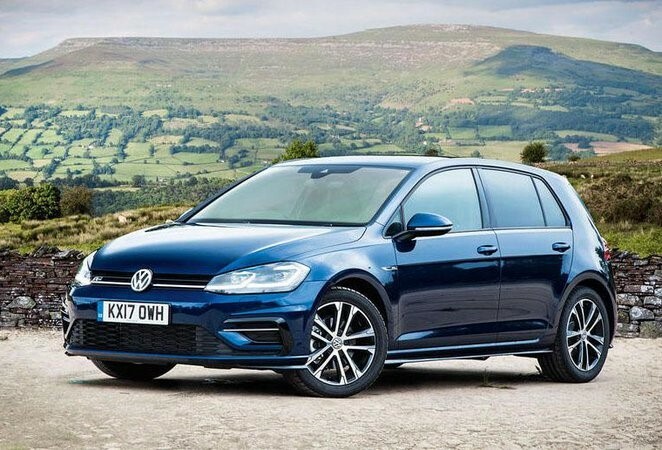 What is worth noting however, is that according to Whatcar.com’s review on the latest Golf Hatchback, it “doesn’t dominate its class in the way previous versions did… that’s down to the competition upping its game rather than VW’s standards slipping. This should not however put off customer attention in anyway. The new Golf comes in a range of models starting from S trim, and rises through to SE, SE Nav, GT and R-line. This is not accounting for any of their five performance alternatives, or the more eco-efficient versions such as their previous Bluemotion version. As for power, VW will make their current 128 bhp version of the 1.5 TSI engine available for the 2018 Golf at a lower price point. However a 148 bhp engine can be achieved with the GT or R-line version. More information on engine specifications and power can be found at Whatcar’s Golf Review. Equally important to any consumer is fuel-efficiency, and no doubt the Golf lives up to these expectations. All versions of the 2018 Golf offer promising fuel economy, with the 1.0 TSI Litre version claiming to reach 60.1 mpg and the 1.6 TDI version reaching 72.4 mpg, substantially triumphing over the Ford Focus. Leasing prices for the 2018 VW Golf Hatchback starts at (as per 26/09/18) £181.81 – £319.68 for a 24 month contract, however other contract lengths are available at Carleasing’s pricing page. Overall, both hatchbacks are incredibly worthy and credible opponents in the car market, as evident from current UK best-selling car polls. If distinguishing features and pricing does not sway consumer opinions, perhaps brand loyalty will ultimately make the final decision. The German car manufacturer consistently sets top-of-the-class bench-marks for high quality, technologically upgraded cars. This is no different for their upcoming releases in the SUV and hatchback sector. The second-generation Audi Q3 is set to launch in November 2018, with it having a fresh take on the premium SUV. The new model will be technologically upgraded, larger and more comfortable than before. 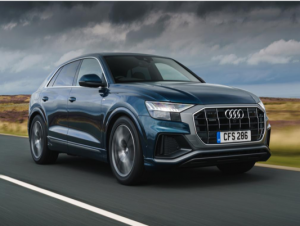 With similar models such as the BMW X2 and the Range Rover Evoque already on the market, the Q3’s bold, family-friendly style also follows a more muscular appearance compared to Audi’s previous Q2 model. The Q3’s interior features high-quality materials, allowing it to have a slick, sharp and sporty design. 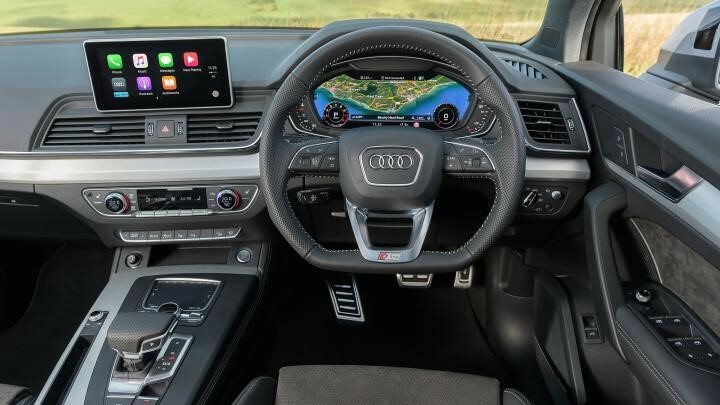 The updated technology is evident from Audi’s virtual cockpit digital dials with built-in touch-screen technology, as well as optional ambient lighting with over 30 selectable colours at your choosing. Due to the Q3’s larger design, boot space measures in at 675 litres (providing rear seats are slid forward), or even 1,525 litres can be achieved with the 40:20:40 split rear seats folded flat, making it more suitable for the family-friendly customer. 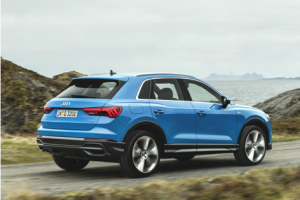 The Q3 will be offered with users choosing between three different petrol engines and one diesel engine. More details on the exact engine specifications can be found at Car Buyer’s news on the new Q3 model. As far as leasing offers go, (as per 19/09/18) pricing starts at £229.09 – £378.81 for a 24 month contract (pricing depends on different Q3 versions). Different contracts are available, but more information on leasing prices can be found here. The Q3 is certainly a worthy opponent to take on the WhatCar’s Car of the Year, the Volvo XC40. For more general and detailed information on the latest Audi Q3 SUV model, take a look at Carbuyer’sin-depth review. 2018 Audi Q8The Q3 isn’t the only addition to Audi’s SUV range. With SUVs continuing to take up a large portion of the car market, Audi’s continuing strive to deliver doesn’t stop there. The Q8 is another take on the SUV market, with it being positioned above Audi’s previous Q7 model with a more stylish, striking and desirable design. The Q8 is set to take on its major rivals including the BMW X6 and the Mercedes GLE Coupe, both credible competitors in redefining the coupe SUV market. This is done through the Q8’s redefined style with upgraded features and technology. That being said, technology always plays a part in Audi’s latest versions of cars and is no different here. The full-width LED lighting combined with the larger grille helps fulfil the refined, sportier appearance. The interior technology focuses on providing sharp, ease-of-use general conveniences by integrating touch dual screen infotainment systems, with the Virtual cockpit 12.3 inch standard digital dials supporting the car’s general ease of use. A more comprehensive, detailed overview on the Q8’s cabin features and technologies can be found at Autocar’s Q8 review. As for leasing prices, (as per 19/09/18) the upgraded SUV starts at £726.76 – £948.84 for a 24 month contract, however other contracts are available on Carleasing’s website. This is something to look forward to in Audi’s SUV range, but equally exciting is Audi’s new take on the hot hatchback sector. Audi is also upgrading their efforts in the hot hatchback sector, with the new A1 Sportback coming out in November this year. The second-generation hot hatchback will follow a sporting new look with advanced cabin tech, drawing on high-tech safety with general convenience. Audi aims to make this latest model a key competitor with the current hot-selling Mini, in an attempt to make it the most generously equipped supermini on sale. The latest A1 will be the smallest model in Audi’s range, with a sporting design in the hopes of drawing new and young customers to the brand. The increase in size (4 meters long) helps to meet general conveniences by increasing interior cabin space and adding 65 litres of luggage capacity. he sporting elements allow the A1’s power to come from a choice of turbocharged TSFI petrol engines (no diesel version offered). Depending on the individual models offered, some of the top models are offered with firmer sports suspension, depending on how much sportiness you are looking for. As for the A1’s high-tech features, the A1 comes with a multi-functional steering wheel with an all-digital instrument cluster. 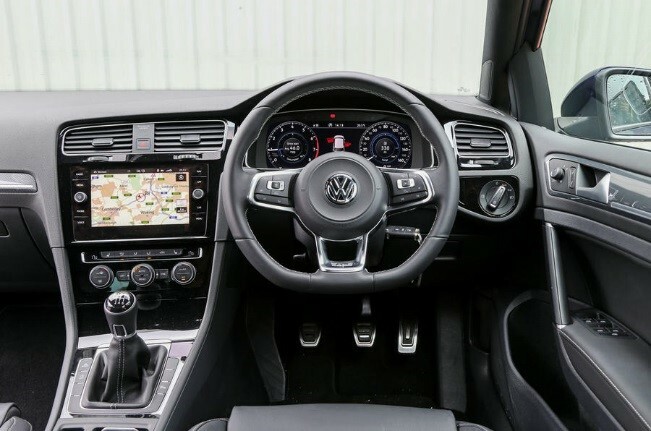 The centre console comes with touchscreen capabilities and a sat-nav system with internet-connected location search capabilities. Health and safety technology is met with the A1’s pre-sense radar-based technology that is capable of recognising other motorists, cyclists in a variety of weather conditions to help offer accident mitigation. It seems that Audi have caught up on the hot hatchback sector with its rivals such as the Ford Fiesta, Minihatchback and VW Polo winning over customer support throughout this last year.Starting price is close to the Mini, (as per 19/09/18) coming in at £16,500 and £16,605 for the five-door form. As for leasing prices, a variety of offers are available for the Audi A1 Sportback (as per 19/09/18)starts from £206.15 to £356.59 for a 24 month contract (pricing depends on different A1 versions). More information is available on Carleasing’s webpage. If the latest A1 Sportback is something that has caught your attention, find more details on Audi’s latest A1 Sportback by visiting Audi’s exclusive page. Car leasing allows your to buy your new car quite quickly and offers you flexibility in how much you choose to pay both for the initial payment and also ongoing for the duration of the leasing agreement. In today’s entry we are going to look at low deposit car leasing options and talk about the pros and cons of using this leasing option. One of the principal benefits of a low deposit car leasing deal is that the initial payment, often referred to as the deposit, is quite low. This initial payment is literally just one months rental and is paid shortly after delivery of your vehicle. This allows you to drive away in your new car without having to put down and invest a lot of your money/capital. The downside to this, generally speaking is that it raises your ongoing monthly payments as the more put down (pay as a deposit) the less you will pay each month on an ongoing basis. In the car leasing world you can put down anything from one months payment up to twelve months payments as a deposit and this flexibility is one of the main reason many people choose to leas their cars rather than purchase them outright. In additional to choosing what deposit to put down you can also choose the period (how long) you want to lease your car over. The most popular leasing terms are generally 24-36 months and this is true for both business customers and also personal / private customers. By getting this flexibility it allows you to change or update your car fairly regularly and also takes the stress and worry out of your motoring. All cars from Car Leasing Online are brand new and come with full UK manufactures warranty. Low deposit car leasing is a great way to get yourself on the road in a brand new car and many of our customers come back once their existing lease have come to an end. We have an excellent retention rate of customers and this is due to our excellent customer service, prices and cars that we provide. If your existing lease is due to come to and end in the next 2-3 months it is worth considering getting your new car ordered now. Quite often with new cars they can take anywhere from 4-12 weeks to be delivered. Having said this, if you are coming to the end of your existing agreement and need any help or advice – especially around low deposit car leasing then please do give us a call. Our team of car leasing experts are hand to answer any questions that you may have. If you have used us before or if you have any thoughts, ideas or suggestions then please do comment in the box below. We love to hear from our customers.